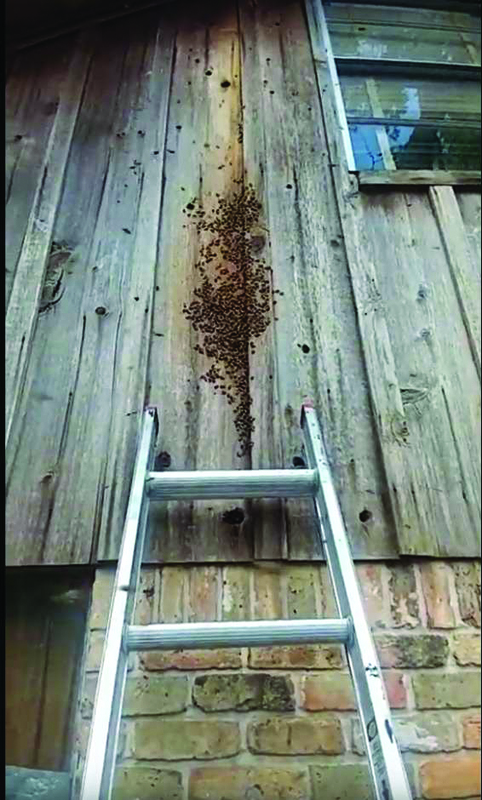 Claude Griffin, owner of Gotcha Pest Control, Houston, Texas, tells The Midland Reporter-Telegram that a recent honey bee infestation was one of the worst he’s faced during his 20-plus years as a pest management professional (PMP). The southwest Houston home had two bee hives, nine to 12 feet tall and in some areas, three-feet thick, according to Griffin. He estimates the hives were home to 1 million-plus Africanized honey bees (AHB), according to a report in the The Midland Reporter-Telegram. According to information he received from the homeowner, Griffin says the hives had been at the home for 10-20 years. Maybe that explains why the job of removing the hives took Griffin over eight hours — and more than 40 stings. Griffin tells PMP, “I was laid up for more than two weeks.” Still, it was a donated service for a home that was desperately in need, he says, and he was glad to do it. Have you ever had to deal with massive hives or been faced with a takeover of africanized or “killer” honey bees? Let us know in the comments or by emailing pmpeditor@northcoastmedia.net.